This good deed goes unpunished. 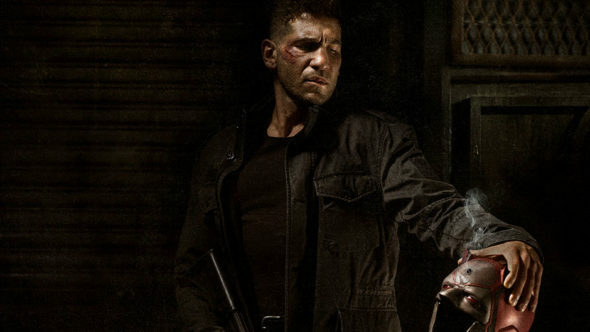 Netflix has ordered Marvel’s The Punisher TV show to series. Jon Bernthal, who introduced Frank Castle a.k.a. “The Punisher,” in the second season of Marvel’s Daredevil, will reprise his role. Steve Lightfoot, EP on the cancelled Hannibal TV series, is set as showrunner. Marvel’s The Punisher is the sixth Marvel series ordered by Netflix. Other Marvel/Netflix collaborations include the upcoming Marvel’s Luke Cage, Marvel’s Iron Fist, and Marvel’s The Defenders. And of course there is Marvel’s Jessica Jones, starring Krysten Ritter, which has been renewed for a second season. Get more details from Marvel. Jon Bernthal reprises his role as Frank Castle! This good deed goes unpunished! Netflix has ordered a full first season of “Marvel’s The Punisher,” continuing their unprecedented collaboration with Marvel Television. For more information on “Marvel’s The Punisher,” and the other exciting new Marvel Television series coming to Netflix, stay tuned to Marvel.com. What do you think? Are you excited for Marvel’s The Punisher TV series on Netflix? Which Marvel TV series (on any outlet) is your favorite, so far?